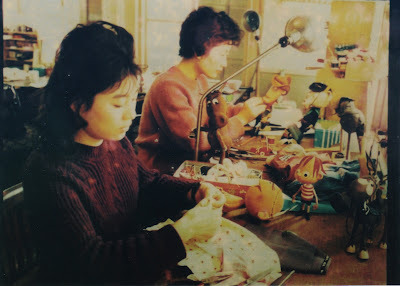 Reiko Yamagata and Kyoko Kita create the ANIMAGIC cast of RANKIN/BASS' THE NEW ADVENTURES OF PINOCCHIO in 1960. 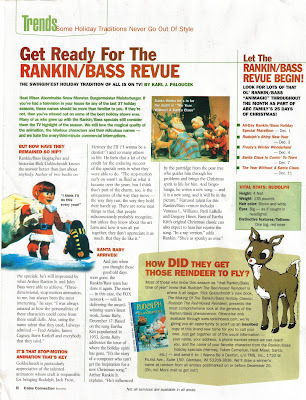 It was RANKIN/BASS' First ANIMAGIC Production and a very popular one (Especially in CANADA). There is NEW interest in the series and more news to come soon! 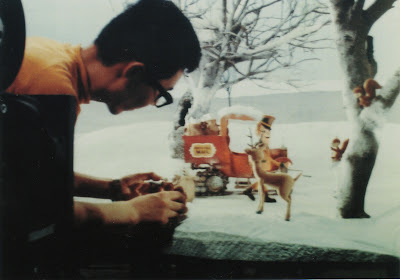 Here is a picture of HIROSHI TABATA working on SANTA CLAUS IS COMIN' TO TOWN (1971). 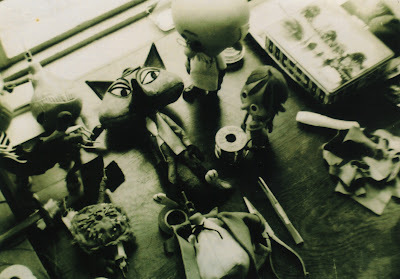 JACK DAVIS and PAUL COKER, JR. visited the studio on this day as they were in JAPAN on a MAD Vacation. I am still on the road to recovery! THANKS for all the kind GET WELL e-mails. Looks like my home/collection will be featured in an upcoming CHICAGO TRIBUNE article for the HOME SECTION. 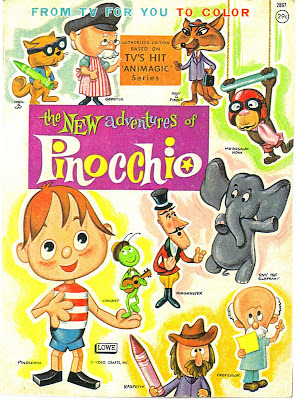 I am also assisting with a release of THE NEW ADVENTURES OF PINOCCHIO in JAPAN.